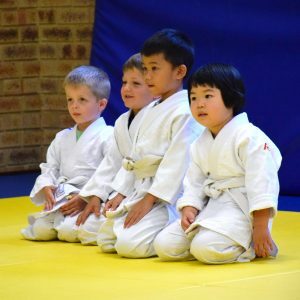 Young children are introduced to judo through fun and basic physical movement. 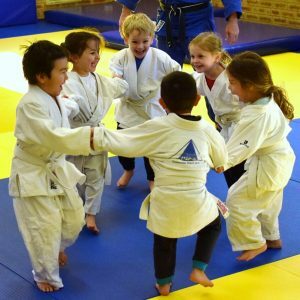 Our judo classes for 3 & 4 year olds include a lot of movement but are very low impact. Class sizes range from 5 to 10 students with 2 to 3 instructors. Parents are welcome to stay and watch or join in with their child. Activities include gross motor skills like running, jumping, rolling, crawling, pushing & pulling. Judo skills include rolls, breakfalls, hold downs & gripping etc. Discipline is age appropriate. Please bring a water bottle for your child to use during class. Please dress your child in a t-shirt and tracksuit pants or leggings (not shorts). 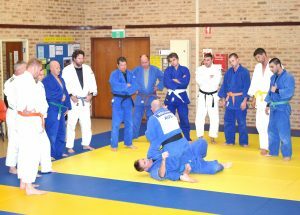 A judo uniform will be provided for use during the class. 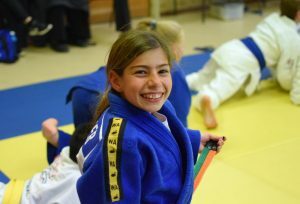 $10 per class (includes use of a club loan judo uniform).